Are you the Purr-fect Franchisee? We are looking for dedicated, discerning animal lovers who are passionate about caring for cats. You need to have a gentle, caring manner and love of our feline friends. If you’re ambitious, enthusiastic and looking for a rewarding and exciting career, please contact us. If you are retired or approaching retirement and you are looking to supplement your pension, then a Purr-fect Franchise could be ideal for you. If you are looking for a fantastic Cat Sitting franchise, you’re in the right place! 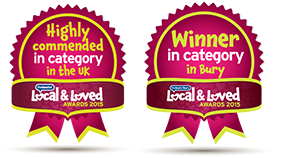 Purr-fect has been established since 2007, we are an award winning pet care service, providing an alternative to catteries and are proud to be unique and trusted with a fantastic reputation. If you have ever thought of running your own cat care business, working the hours that suit you and have a genuine love of cats, don’t miss this fantastic opportunity. The Purr-fect Franchise, really is a wonderful lifestyle business. Each day you will be visiting adorable cats, providing oodles of cuddles and lots of playtime and most of all, seeing just how happy your feline friends are. Best of all, you can choose the times and hours to fit in with your lifestyle and availability – It’s Purr-fect! 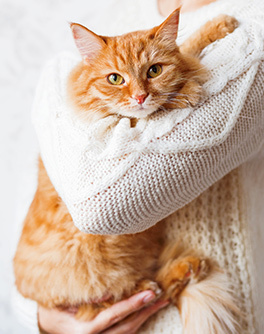 Cat Sitting really is a growing market, there are over 7.5 million cats in the UK and many discerning cat owners just don’t want to put their cats into a cattery any more. Over the years, we have seen a huge demand for our service as cat owners are looking for a professional, reputable and trusted service for their beloved cats, whilst they take a well deserved holiday. 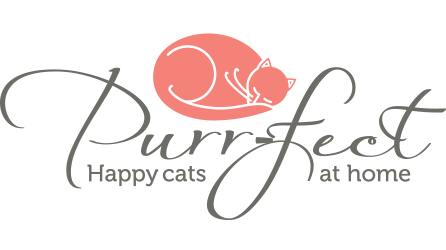 Purr-fect is a successful, award winning, reputable business that people TRUST! We are based in Manchester and are now looking to expand throughout the UK – are you ready to join us? Your Franchise will have a large exclusive territory, giving you the potential to build a successful business. We are looking for hard working, self-motivated individuals with a passion for cats and the drive and determination to make your business the best it can be. If you want to provide the very best cat care service, we want to talk to you. Are you our next Purr-fect Franchisee? Our standards are extremely high and our franchisee criteria is very strict, but if you think you meet our requirements, we will be delighted to speak with you. Please take a few moments to complete our form on the “Contact Page” and we will email a copy of the Purr-fect Prospectus for you to consider. The next steps are for us to answer any questions you have regarding the franchise and then arrange for you to visit us at the Purr-fect Head Office, to spend a day with us, so you can see the operation first hand. We are based in Bury, Manchester. Please ring Vanessa on 07749 939412 or email us at franchise@purr-fect.co.uk or complete the enquiry form below and we will email our Prospectus over to you as soon as possible. If not, how are you going to fund it? How did you hear about the Purr-fect franchise?